Not every shot can be taken in perfect lighting, and I don’t always nail the exposure, but when the opportunity presents itself, I take the shot. It was quitting time after a long day on the trails in Cades Cove. 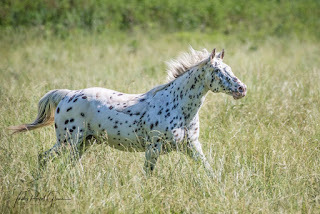 This Appaloosa horse was excited to have his saddle off and able to run free. 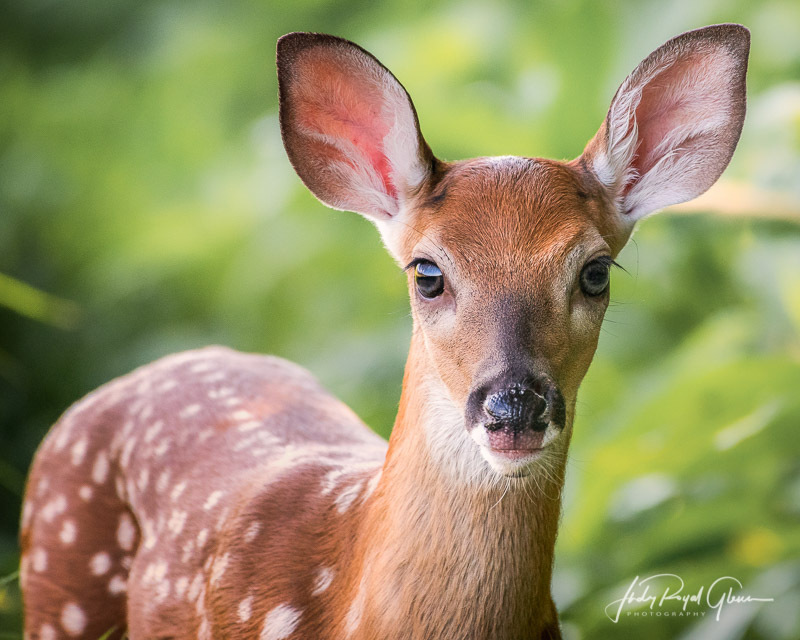 While out hiking through Cades Cove, I came across a momma deer and her fawn. This little guy was so curious about me. He practically walked up to my camera. 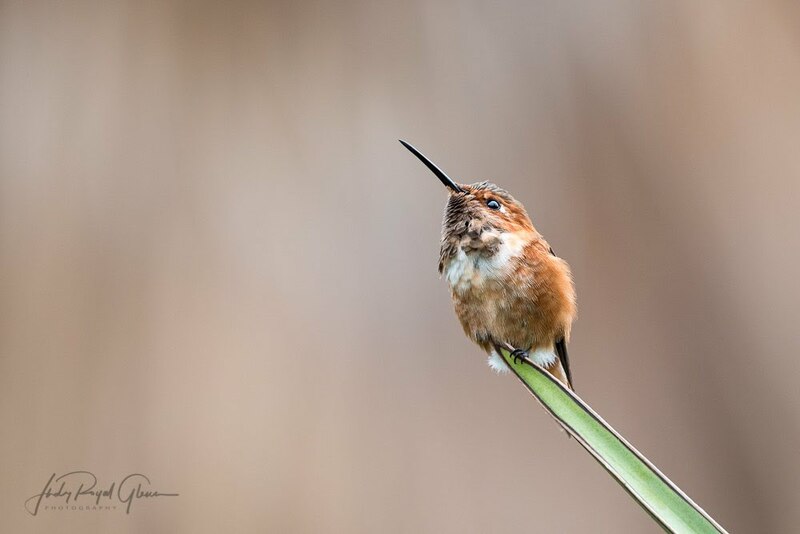 I had the privilege of photographing the rufous hummingbird this past weekend at the Los Angeles County Arboretum and Botanic Garden. It was an amazing day! My research was done and knew where I wanted to photograph in the Los Angeles/Anaheim area; now I had to find the hummingbirds. With 127 acres to meander through, I knew it might be difficult, but I asked the Lord to help me find them. I was on a tight schedule, only one day to shoot and about 6 hours. As soon as I walked into the garden, I heard the unfamiliar sounds of hummingbirds not found in Georgia and it excited me! 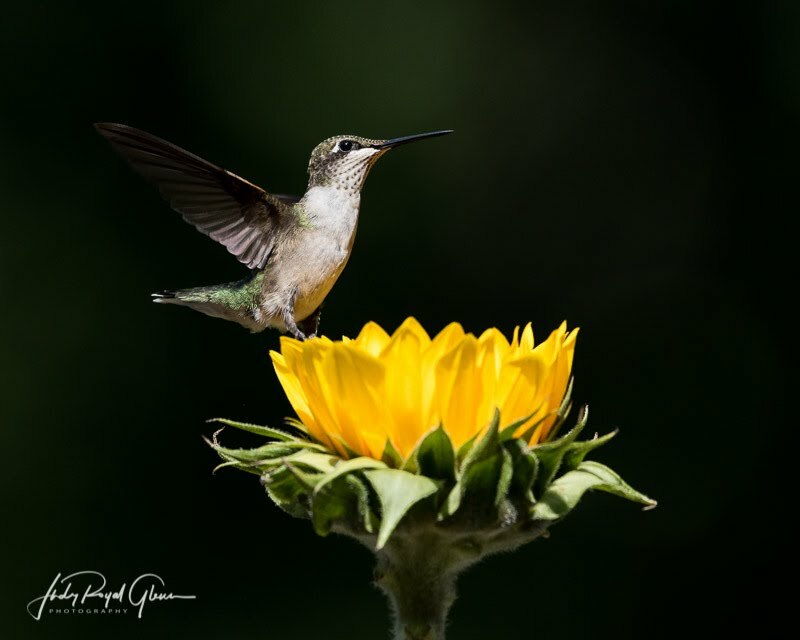 Their calls and wings make amazing sounds—much different than the ruby-throated hummingbird. I photographed this fellow for two hours. He camped out on the yucca plant and defended the area. After talking to a few people who live out there, they mentioned he was on the same plant last year. One man told me I was lucky to find him because of the drought. He said usually they were everywhere. Instead of feeding on the flowers frequently, he turned to eating small bugs non-stop. He would land on a branch, fly up to get eat a bug, and repeat. Maybe one day I can return to this wonderful garden. I barely scratched its surface. 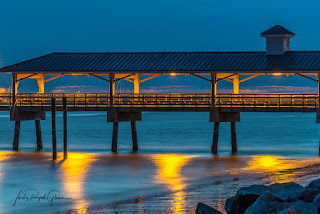 A few years ago, I watched a beautiful sunset on the St. Simons Island pier and then decided to shoot long exposure shots. 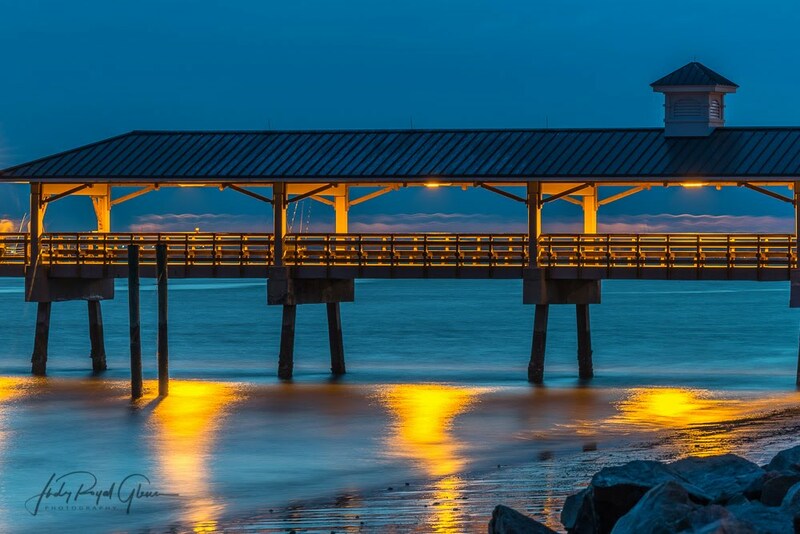 I titled the photograph to draw your attention to the moving fishermen and visitors on the pier. I’m thinking of my family and everyone dealing with the after effects of Hurricane Irma. Hoping everyone can get home soon!! This photo is from my archives and never published on my social media. Some flowers were going to be discarded from the place I volunteered at this weekend, so I took them home and made magic. I placed a small hand hummingbird feeder in the flower and played with my hummingbirds. Update: to see my YouTube video of this hummingbird dancing on the sunflower click here.